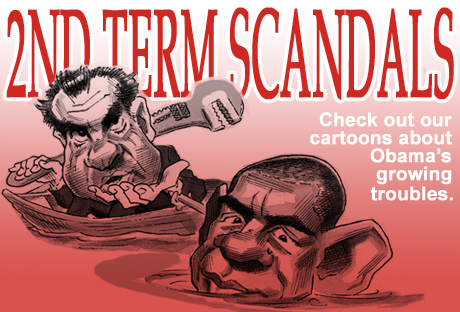 Benghazi, IRS, AP scandals are the future. Take a deep breath. Block out all political yelling you’ve heard in the media this past week. Now carefully, remove your partisan blinders. Take a good, honest look. What do you see? That’s right. It’s the future. Hey I didn’t promise you a rose garden. This week we witnessed (maybe endured) four big stories: the IRS flagging Tea Party groups, Benghazi hearings, the DOJ getting phone records of AP reporters and Fox News’s James Rosen to find leaks, and Bloomberg Media’s digital spying. 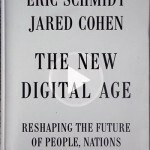 Four good books tell us this is what is happening now and will happen in the near future. 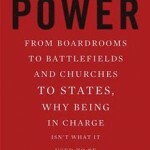 The causes are innovative technology and problems in our political structure. Unfortunately our elected officials and the corporate-controlled media are the last to understand the underlying causes which is threatening our economy and our democracy. This is where the new innovative media – with free-lance journalists and thinkers – can make a big difference in our politics and quality of life. Let’s look at these books. 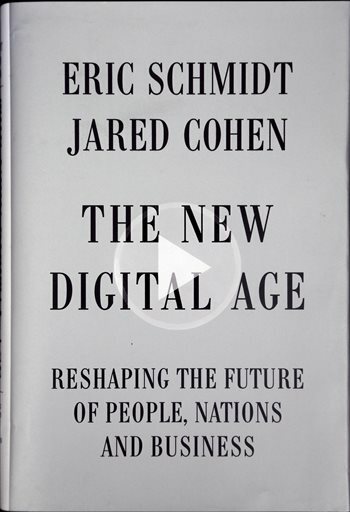 Eric Schmidt and Jared Cohen, in their book The New Digital Age, outline the future of technology. They examine the good and the bad for governments, businesses, activist groups, and terrorists. The message is clear: entities that don’t keep up with technology won’t exist. 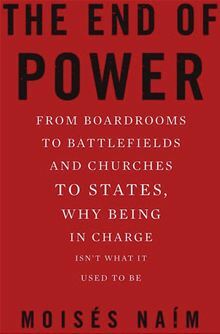 Moises Naim’s book, The End of Power, shows how technology is making it more difficult to govern. Communication technology gives us more voices – but also more noise. Thus, we witness dumb statements from elected officials who are either uninformed or opportunistic. 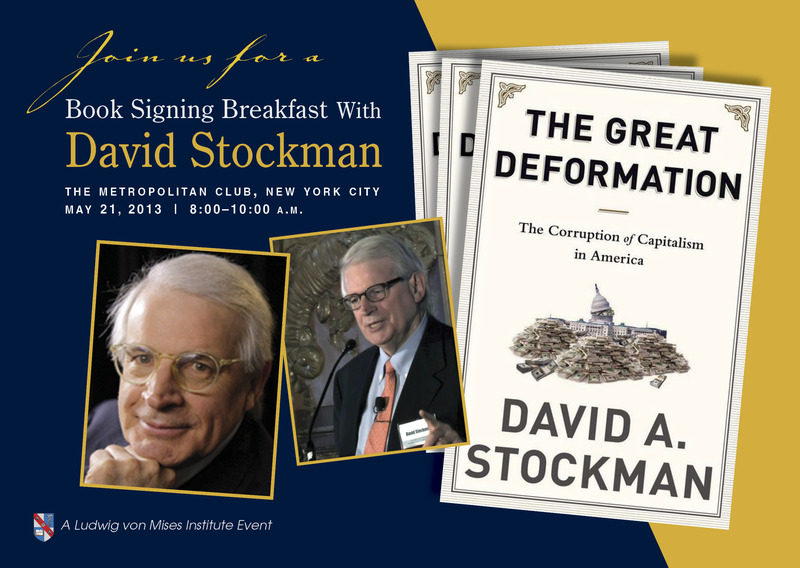 David Stockman, in The Great Deformation, explains how crony capitalism has caused our economic uncertainty and failures. He points out that the massive giveaways to special interests and corporations have bloated our tax code and caused unfair economic distribution. 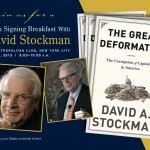 Stockman correctly shows us how our elected officials have built a massive military that is geared to fight the Soviet Union in the 1970’s, not today’s low-tech, non-state insurgents. Those same elected officials tout the defense build-up as a local jobs program for their districts. 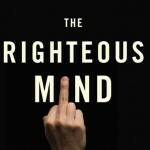 The Righteous Mind, by Jonathan Haidt, shows us why we don’t change opinions very easily. 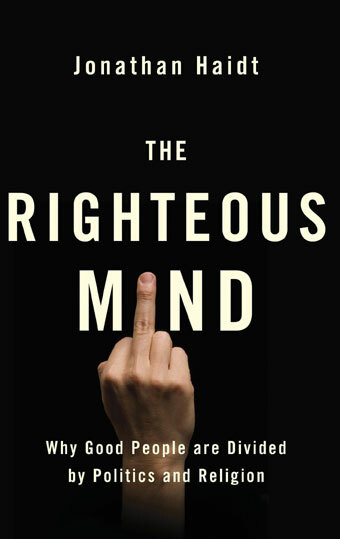 He shows how most of us are wired to be Democrats/liberals or Republicans/conservatives. Our experiences and upbringing – call it our intellectual DNA – is ingrained in all of us. It’s very rare that someone in adulthood swings from one party philosophy to another. The prejudices or biases are only enforced by most of the so-called mainstream media. So, how do these authors explain the underlying problems in these four major stories of the past week? The IRS scandal is real to many Americans. A bunch of bureaucrats targeting our finances based on our political leanings is scary. Yet, when you look deeper, you realize who caused this problem: the Republicans and the Democrats creating complicated laws to put more campaign money in their election coffers. And yet these laws give more tax breaks to more people who are politically connected. That means fewer revenues to run government. Instead, that money stays in the pockets of special interests to influence the same elected officials who passed the same laws. And we wonder why the debt crisis isn’t properly addressed. This brings us to the Benghazi hearings. The House hearings are taken seriously by most Americans because four Americans died. We correctly raise the issue of protecting our diplomats and representatives overseas. However, those same elected officials addressing that security issue are the same ones who have cut government budgets at our foreign outposts and possibly helped arm those insurgents during the fall of Libya. And then laughably, these same elected officials decry that the US military did not respond to Benghazi with fighter jets to scare away insurgent terrorists. As I mentioned in a previous column, it’s the equivalent of trying to kill a bug with a baseball bat. It proves that most of our elected officials are clueless about foreign policy or the complexities of the locales and societies we’re dealing with. It also shows how powerful and dangerous some populaces have become without a massive military. Yet the Benghazi hearings barely mentioned these underlying problems that make us less secure. Instead, the hearings, at times, became a political circus. The attacks seemed to target Hillary Clinton, thought to be the next Democratic candidate for the White House. Within days of the hearings, the Karl Rove group had an anti-Hillary political ad running. But isn’t that ad a political spot – not an issue ad? If so, then why isn’t Rove’s group investigated for violating the IRS laws like those Tea Party groups? The truth is the big organizations run by both major political parties won’t be investigated at all. Let’s look at the Justice Department’s ease of tracing phone records of the AP and why this won’t be the last time it happens. Look at the reaction when the FBI failed to keep tabs on the Boston Marathon bomber who traveled to the Caucuses in 2011. We want the Justice Department to tap the phones of suspected terrorists. So why wouldn’t a news organization either innocently or knowingly have a connection to a terrorist? And why shouldn’t we investigate the media whose news content, at times, calls for the downfall of different administrations? Look at the editorial content of Fox News and MSNBC. 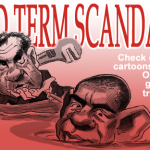 The election of Democratic control of Congress in 2006 and the presidency of Barack Obama in 2008 were certainly given a stronger voice by MSNBC programming geared to Democratic issues – that continues today. Their goal: remove Republicans from office. Fox News clearly promotes Republican voices that constantly call for impeachment and removal of President Obama while giving voice to insurgent groups that call for preparation aimed at armed insurrection against the government. Their goal: remove Democrats from office. So ask yourself: if you were in power wouldn’t you fight your political enemies that purport to be journalists acting as political operatives? We want our government to go after terrorists who charade as student immigrants. Is there a difference? One person’s journalist is another person’s political insurgent. I don’t mean to degrade journalists working for these major news outlets. But how many of them have broken stories that have hurt their company’s bottom line or reputation? Not many. Still, we want a free press. We don’t want our journalists and their sources to be quieted from speaking the truth or questioning the power of government. But we also want a media that speaks to the whole truth – and not just the corporate truth that pays and supports them. No major media conglomerate can push for true campaign finance reform because it hurts their revenues and possibly their existence. Only an innovative media – free from the shareholder input — can speak to this. And how do we regulate the media’s freedom from becoming an intrusion on our privacy? Bloomberg News reporters had access to private financial records of major organizations. The reporters were looking for trends in the financial world to report on – not something traders and financial executives want. Shouldn’t we know what some of these big financial firms are doing? Many experts say these companies were a main cause of the financial crisis. Still, this rubs against our belief of free enterprise along with a free media. We need a lot of research and a lot of honest debate. Overall, we need to remove money from politics. If you look at all the underlying problems of the past week and the inability to solve them, the stumbling block is money in politics. Tea Party’s initial goals were all about fiscal responsibility. That got obscured once big corporate money came in. Now, for a number of people, the Tea Party is confusing and it has not gained any consensus. The corporate media needs to be broken up. Not only are they not exploring or debating these underlying issues; they’re part of the problem making us choose political winners and losers instead of creating knowledge and understanding. Plus, we have the technology to create strong journalistic content that can be attained by the majority of citizens. But the growth of campaign funding keeps the corporately-owned media with massive revenues for shareholders, protection for the political parties, and no incentive to stand for purity of democracy. At some point, we will also need to seriously look at our Constitution. Something needs to change. It is a document that, though beautifully crafted, was created in the 18th Century. We don’t live in that world. And some of our Founding Fathers proposed Constitutional Conventions every 20 years to make sure the Constitution was meeting our needs. The last Amendment was the repeal of Prohibition. Elections need to change. We need to put the power of the ballot back in the hands of the people and not the political parties. The two political parties in the US, in some ways, resemble the ruling party mullahs in Iran. Instead of showing your Islamic/Shiite bona fides to be allowed to run in Tehran, American politicians must show that they can raise huge amounts of money before they can make the ballot in the so-called land of the free and home of the brave. Technology will move us closer to these solutions. However, politics and money will make it a slow process. That is, unless you’re more informed and ready to voice a thought-out opinion.